My kids are obsessed with LEGO. They love to build pre-made kits, they love to create their own designs, they love the movies…you get the idea. 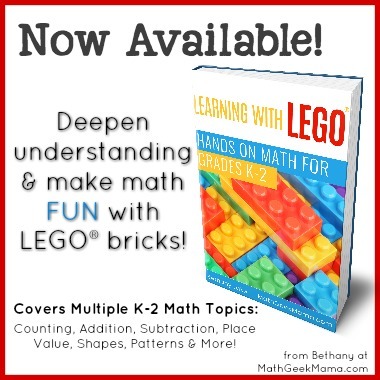 But as a math teacher, I love LEGO too, because they are such a great hands on visual for teaching math! 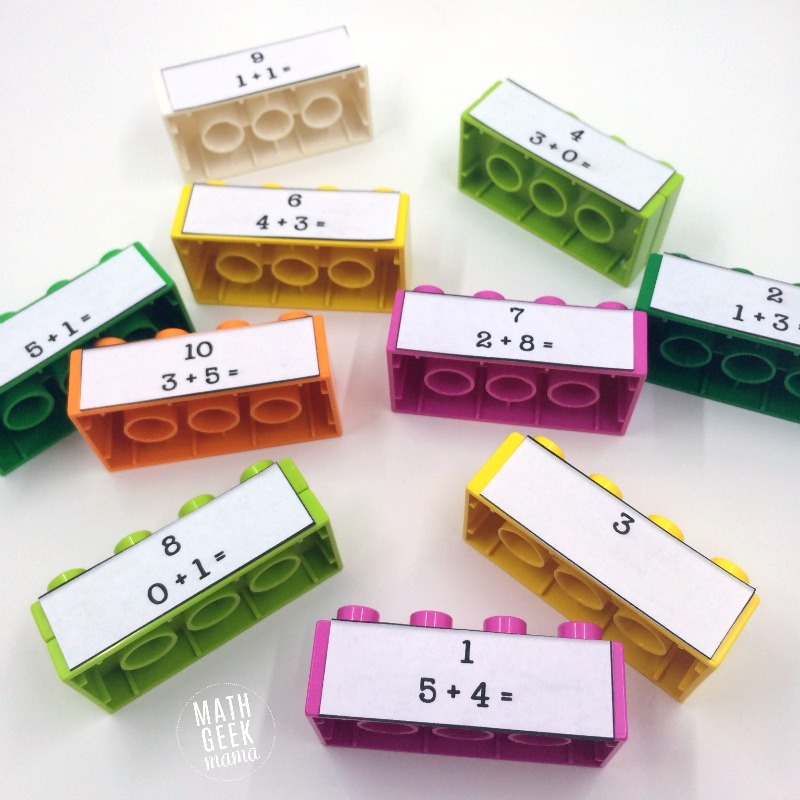 In today’s post, I want to share some simple ways to practice LEGO addition & subtraction. 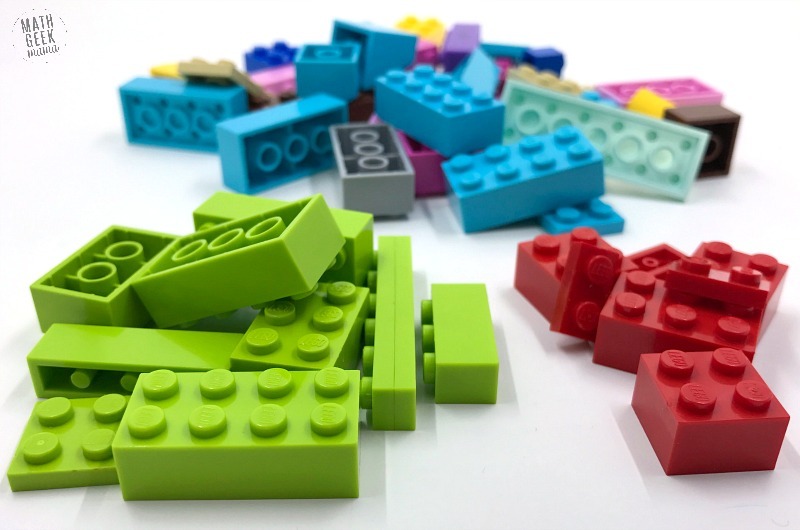 The ideas are easy and don’t require much prep, so go grab your LEGO bricks and we’ll get started! 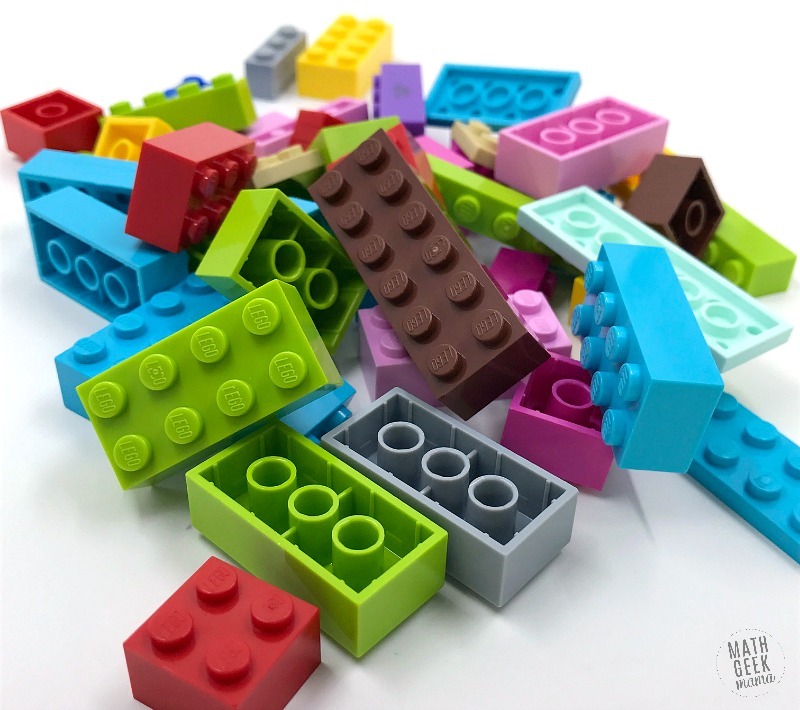 One of the easiest ways to begin is with a large handful of LEGO bricks. If this is your child’s first introduction, you don’t even need to write anything down. Just talk together and explore different combinations. To help them move past counting one by one, start building some towers to create sets. Then ask if they can find the total of two sets. You can also build towers of 10 and leave a pile of bricks loose to represent tens and ones. 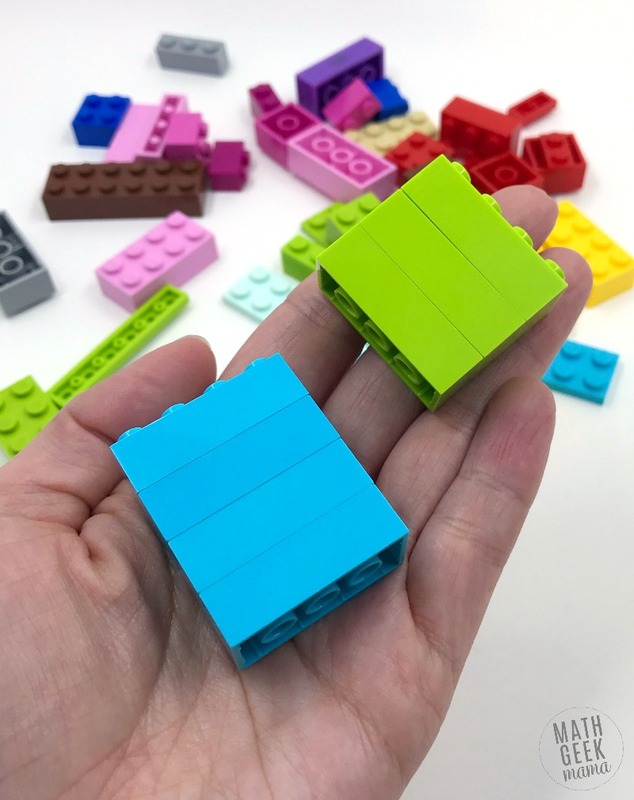 Then challenge your kids to represent larger numbers with their LEGO bricks and then begin to add the larger numbers together. When you’re ready to practice subtraction, simply challenge your kids with subtraction questions instead of addition. Just be sure to ask questions that incorporate all the models of subtraction and not just “take away.” That’s a good place to start, but you also want kids to understand a part-part-whole representation (see the section below on number bonds) as well as a comparison model. Comparison problems tend to be the most difficult for students, so having LEGO bricks to manipulate makes it easier. Then explore different ways to find the solution, especially if your kids don’t see this as subtraction problem right away. Another helpful visual for adding, especially in grades K-2, is a ten frame. 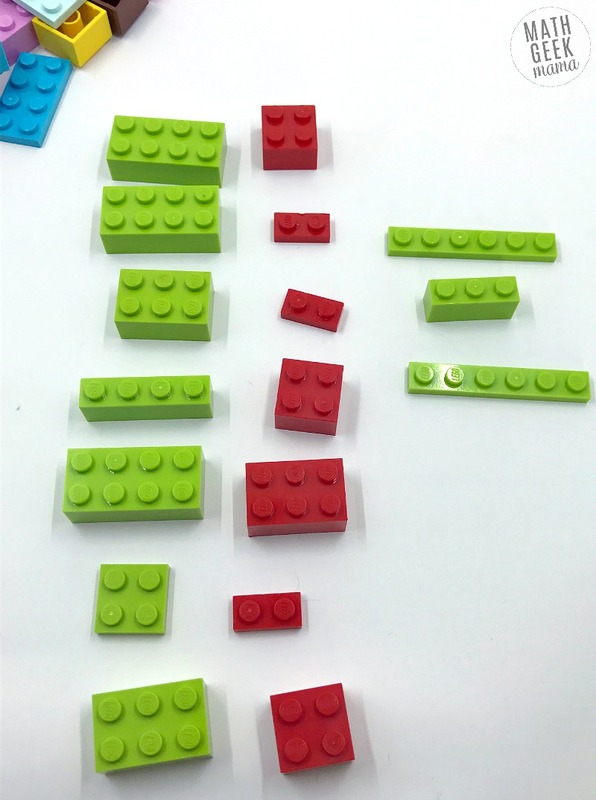 You can combine a ten frame with LEGO bricks to build, add or subtract numbers, but why not build a ten frame with LEGO bricks instead? 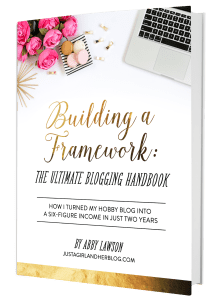 Learn how to create a ten frame with LEGO in this post from LalyMom. Then challenge your kids and play fun games together. 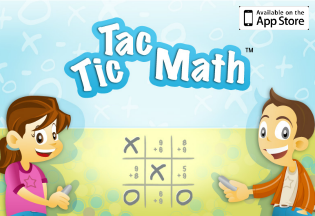 If you create two ten frames, you can then practice addition or subtraction up to 20. For a quick and easy game, grab your two ten frames and two dice. Take turns rolling the dice and showing those numbers in the two ten frames. For example, if you roll a 4 and a 5, you would place 4 bricks in your first ten frame and 5 in your second. Then you use your visual to find the total. When your kids are ready, use two 12 sided dice! A number bond is another simple visual that helps to model the “part-part-whole” idea of addition and subtraction. 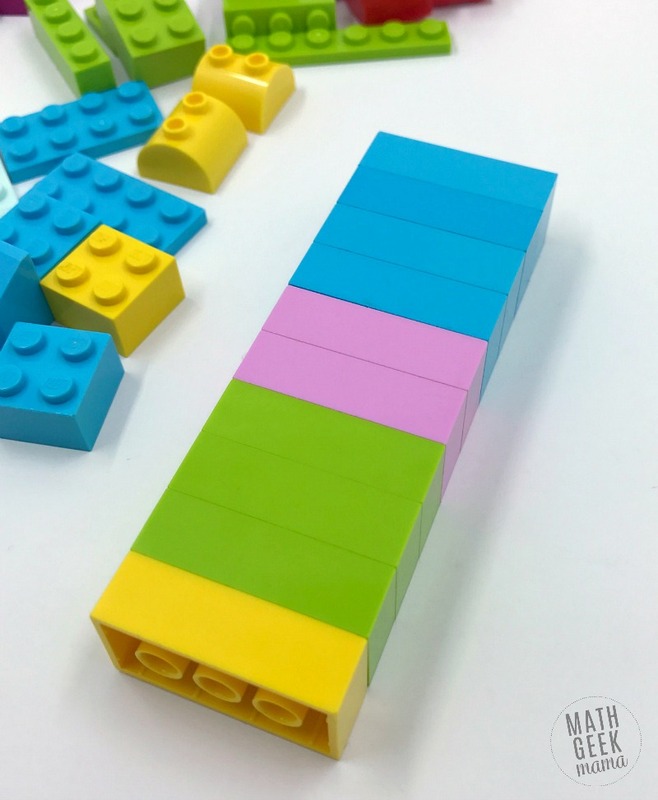 Using a loose pile of LEGO bricks, kids can model various equations or solve addition and subtraction problems using the number bond. For example, given the problem 5 + 3, kids would grab 5 LEGO bricks for one of the parts and 3 LEGO bricks for the other part. Then then put them altogether to find the total. Understanding how to compose and decompose numbers with ease is an important step in developing number sense. This simply means understanding and recognizing the different ways numbers can be created or taken apart. In other words, the number 7 can be made with 1+6, 2+5, 3+4 and so on. It’s important for kids to recognize and find all the various ways they can compose a given number. 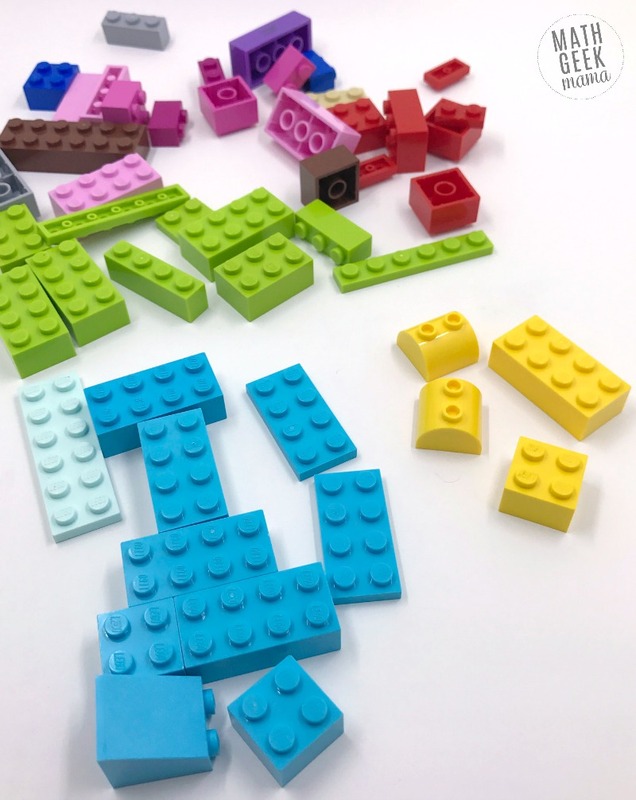 LEGO bricks are also a great way to model different ways to compose or decompose numbers because they can be easily snapped together and taken apart. To practice, just grab a handful of LEGO bricks and a sheet of paper. Then ask your kids to build a tower with ‘X’ number of bricks. Then see if they can break apart their tower to find the different combinations. 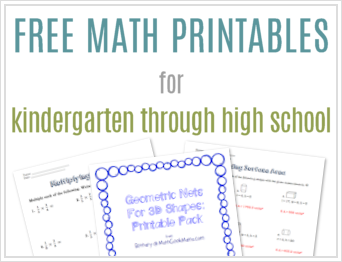 Have them record their equations on the piece of paper. Buy Learning with LEGO Here! 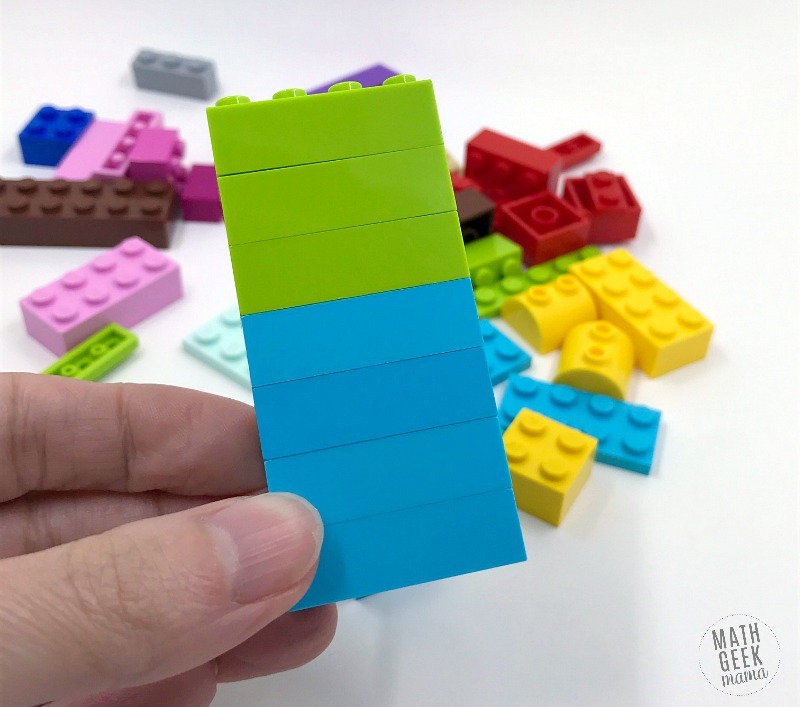 Finally, you can create fun puzzle challenges using Duplo blocks. This doesn’t actually use the bricks as a visual or manipulative to solve addition & subtraction, but it is a fun way to practice! And once your kids understand how the puzzles work, challenge them to create their own and challenge their friends! 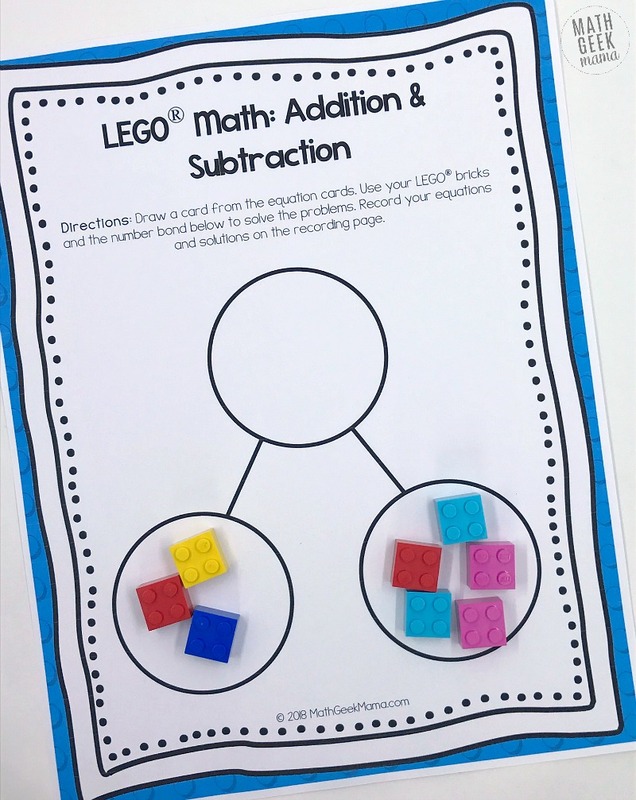 Learn more about the LEGO addition & subtraction puzzles in this post. So what do you think? Do your kids love learning with LEGO? 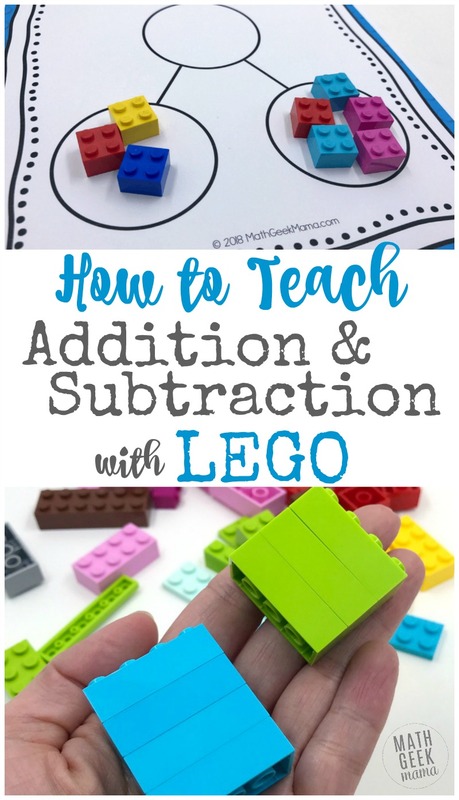 What other ways could you practice LEGO addition & subtraction with your kids? 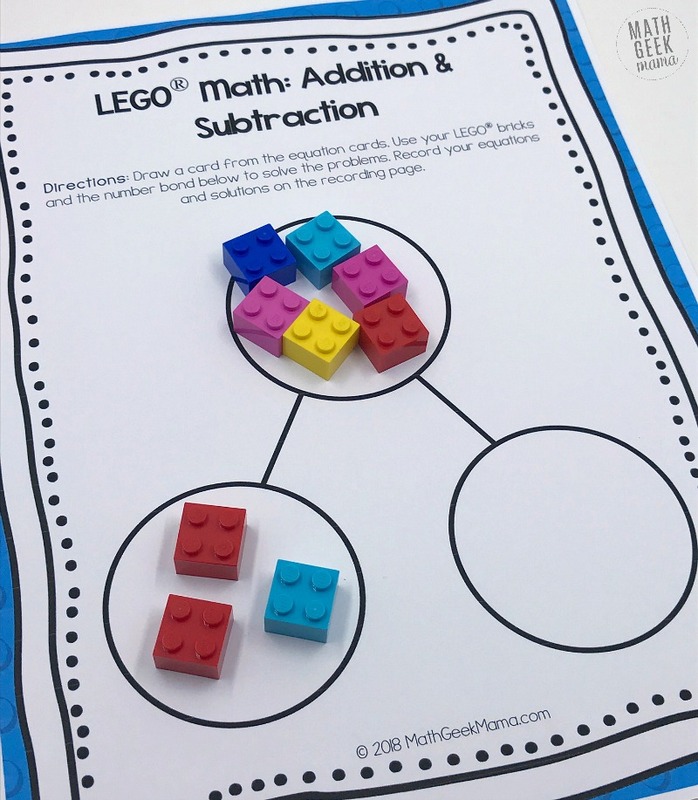 >>And don’t miss this HUGE post full of more games, STEM ideas and helpful videos to continue learning math with LEGO!